If you have read my last blog post on Vitex (How Vitex regulates your cycle), then you should already know the short answer to the question in this title: Vitex is for you if in fact you are high in prolactin due to low dopamine. I realize that is a little too easily answered when you don’t know how to figure out if you have high prolactin and low dopamine in the first place! So I’m spending this blog post on that specifically for you. Should you be trying Vitex? Let’s start with a little summary on how Vitex (or Agnus Castus or Chasteberry) regulates your cycle. Vitex helps women regulate their cycle by helping them ovulate in the first place and then helping their ovaries to produce enough progesterone. This is because Vitex works on the hypothalamus (a major hormone gland) to increase the effect of dopamine. That effect inhibits the overproduction of prolactin, so that you can go back to producing enough FSH & LH to mature & release that egg. If high prolactin because of low dopamine is not the root of your fertility issues, then Vitex will unlikely help! Do I have high prolactin levels? Do I have low dopamine levels? Because if the answer is yes to both, then you’ll want to give Vitex a shot right? The simplest way to know this is through a blood test. If your prolactin levels are indeed high, that does not necessarily mean it is because of low dopamine. Your doctor will likely want you to have a scan because sometimes a (benign) tumor can be pressing on the anterior pituitary gland causing high prolactin levels. CHART! Some of the symptoms of high prolactin described below can only be picked up on through charting your cycle. So to know if you should try Vitex you need to know what your chart looks like first. You also need to chart to check if Vitex is helping by checking your chart after taking it for a while. NOT take Vitex if your cycles are regular and you don’t qualify for the symptoms of high prolactin. It can actually throw your cycles off completely if you do. If you’re interested in the biology, stick till the end of this post. Ok? All set then! To know if testing it is worth a try for you, you need to know whether in the very least you have high prolactin and low dopamine symptoms or if you are at risk of high prolactin due to low dopamine. Note however that apart from the 1st symptom, all these can all also be signs of other problems such as low progesterone alone (not caused by high prolactin), PCOS, or stress to name a few. Ouch, not very nice symptoms huh, but we’re getting real here together aren’t we? 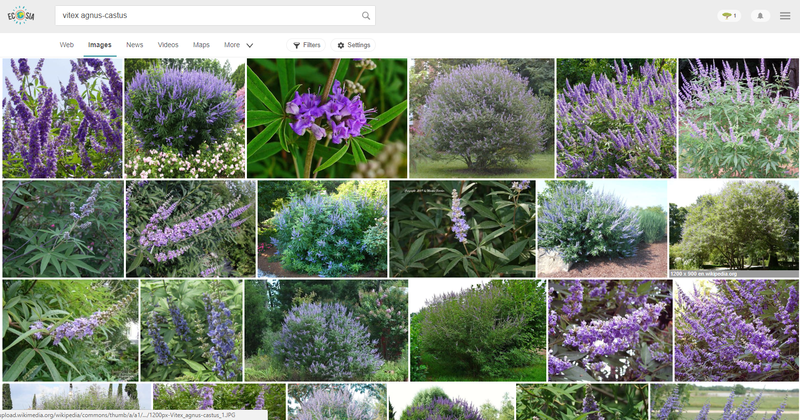 Should I be trying Vitex? If you occasionally lactate (without being pregnant or nursing) and have at least one of the low dopamine symptoms and risk factors, then you most likely do have high prolactin due to low dopamine and Vitex could help you. If you qualify for few of the high prolactin symptoms, and at least one of the low dopamine symptoms and risk factors, then you might have high prolactin due to low dopamine, and giving Vitex a try is worth a shot. Should you start to ovulate and/or have a longer luteal phase after taking Vitex, then that answers that you have indeed been suffering with low dopamine & high prolactin. As you can see from the low dopamine risk factors, you can give Vitex an extra helping hand by reducing stress, increasing fun, and reducing poor food. Watch out for the next post in the series with a guide on how to systematically give Vitex a try. When working with you, we take many more causes into account when looking at your hormonal imbalance so you are not just looking at one possible problem at a time. In treatment we assess and treat toxicity, low vitality, past synthetic hormone use, and health of other glands. In 6 months time with homeopathy you will definitely be healthier & more fertile, while with Vitex you aren’t sure. It increases your overall level of health helping your body heal itself better in general, including your fertility. Vitex is a wonderful natural product that can help you improve your cycles as you are taking it. It can also jumpstart your body’s healing, but it cannot resolve the underlying problem that is causing your hormonal imbalance. Vitex brings up the dopamine effect to lower prolactin. Prolactin inhibits the production of FSH & LH. If there is (practically) no prolactin because you’re taking Vitex when you don’t need it… your FSH levels are likely going to be too high. High FSH levels mean the egg is hyperstimulated to mature and estrogen goes up too quickly. The result of that is that LH peaks much earlier in your cycle and you ovulate too early. When you ovulate early, your cycles become shorter too because (healthy) luteal phases are roughly the same every month. Another problem with high FSH is that it will bring up your follicular temperatures too. High FSH can also cause hot flushes and is often associated with early menopause.